Acting great Alec Baldwin said this week he'll retire from the craft after his "30 Rock" contract ends, calling his career a "complete failure" that he's ready to let go of. "I don't have any interest in acting anymore," Baldwin said in an interview wih "Men's Journal." "Movies are part of my past. It's been 30 years. I'm not young, but I have time to do something else," the New York Daily News reported Baldwin told the mag. 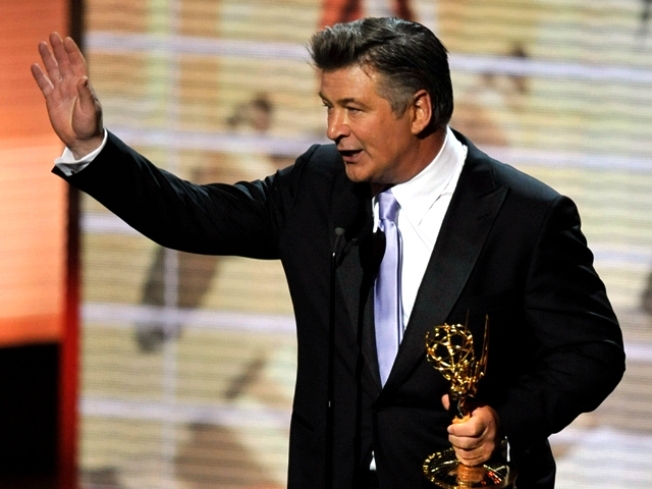 Baldwin, 51, is the star of "30 Rock," the critically acclaimed sitcom that's earned multiple Emmys for him and the show. Baldwin said he tried to quit "30 Rock" after the media frenzy surrounding a nasty voicemail he left for his daughter, which included him calling her a "rude, thoughtless little pig." "I feel the consequences of that every day," Baldwin said. Baldwin also said he considered suicide during the custody war he waged over his daughter with ex-wife Kim Basinger, telling the magazine he'd thought of a plan to end his life. "I was oging to put the hose in the most noxious of the cars I own, a Jeep, take some sleeping pills, and take a nice nap in the front seat of my car in the garage," he said. His next project is the movie "It's Complicated," which stars Steve Martin and Meryl Streep and will open Christmas Day. He's starred in flicks like "The Hunt for Red October" and "Glengarry Glen Ross," but the actor said that despite his commercial and critical success, his movie career has been a "complete failure." "It's a difficult thing to say, but I believe it," Baldwin said. "The goal of moviemaking is to star in a film where your performance drives the film, and the film is either a soaring critical or commercial success, and I never had that," he said.